Have you ever wondered how the monthly Plant Cuttings’ collection comes to be? Do you think Mr P Cuttings knows in advance what he’s going to write about each month? He has a notional idea of the items he wants to cover, but he usually has no idea where a news item will actually go once he’s started to put the piece together. [Ed. – should you be ‘sharing’ this with us? We don’t want to undermine your aura of all-knowing plant wisdomness…] Writing about plants is very much a case of “where are we going to go today”? 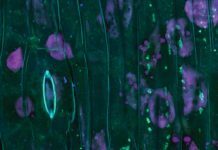 Where will our journey of plant discovery take us? In some respects Mr Cuttings feels a little like celebrated English composer Sir Edward Elgar, who, when asked where his music came from, reputedly replied, “My idea is that there is music in the air, music all around us, the world is full of it and you simply take as much as you require”. Well, as with musical composition, so with plant-related stories; they – like the creations that inspire the tales – are everywhere. Obviously any AoB Blog vehicle will have plants on it. Photo Dennis Wong / Flickr. Camellia sinensis. Image: Franz Eugen Köhler, Köhler’s Medizinal-Pflanzen / Wikimedia. We could have wandered further down the Silk Road***. 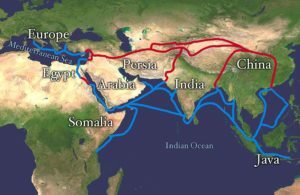 As an ancient trade route its overland component is famed as the pathway along which silk – and much, much more! – was brought from China to Europe and the West. One of the most celebrated Europeans to have tramped that trail is 13th Century Venetian traveller and journalist Marco Polo, who, amongst his many exploits, is credited with introducing bamboo, clove, ginger, cotton, sugar cane, indigo, rhubarb, pepper and nutmeg to Venice and the West. However, there’s much more to that route than simply a circuitous conduit for Chinese condiments – as explored in Peter Frankopan’s 2015 book The Silk Roads: A new history of the world. 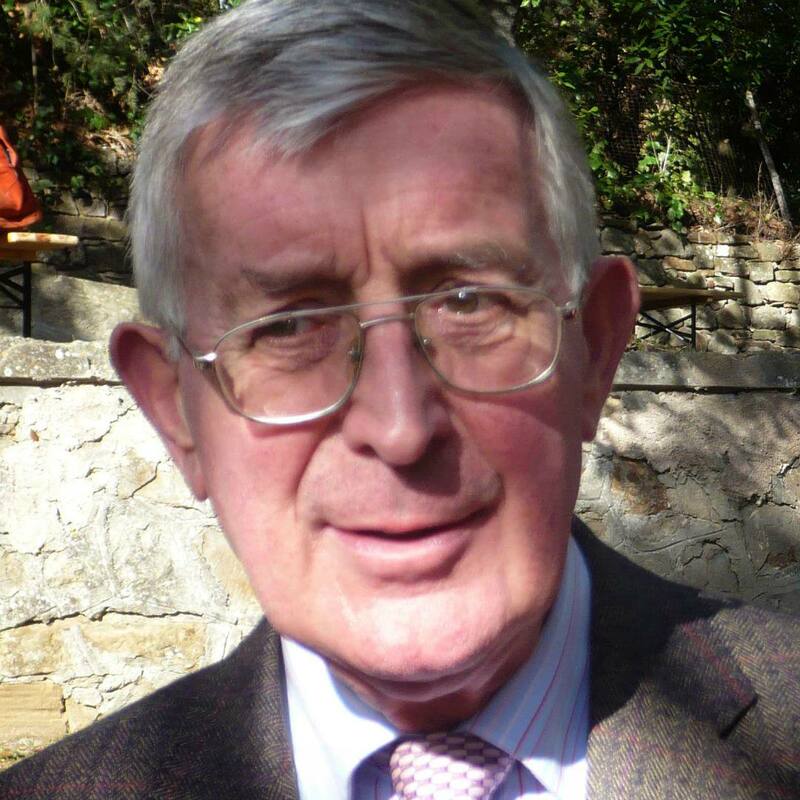 But, and signor Polo’s botanical exploits aside, you might well ask, what’s the plant connection with the Silk Road? Fear not, it’s there; silk is a protein filament product of the larvae – ‘silkworms’ – of the silk moth (Bombyx mori) who feed primarily upon … leaves of the mulberry tree (Morus spp.). Developing the more romantic notions that mention of the Silk Road, conjures up, e.g. Kublai Khan and Xanadu, and Uzbekistan’s second largest city, the exotic sounding Samarkand, I could have introduced an aphrodisiac dimension with the Tibetan caterpillar fungus, Ophiocordyceps sinensis****. Also known as Himalayan Viagra, satisfying the demand for this ‘medicine’ – which is both highly-prized and highly-priced – is having serious consequences, e.g. ethnic tensions in the region [for comments on this piece, go to The Economist]. And that could so easily have led us down the path to explore the fascinating world of Traditional Chinese Medicine (TCM), which used many plants and plant products. 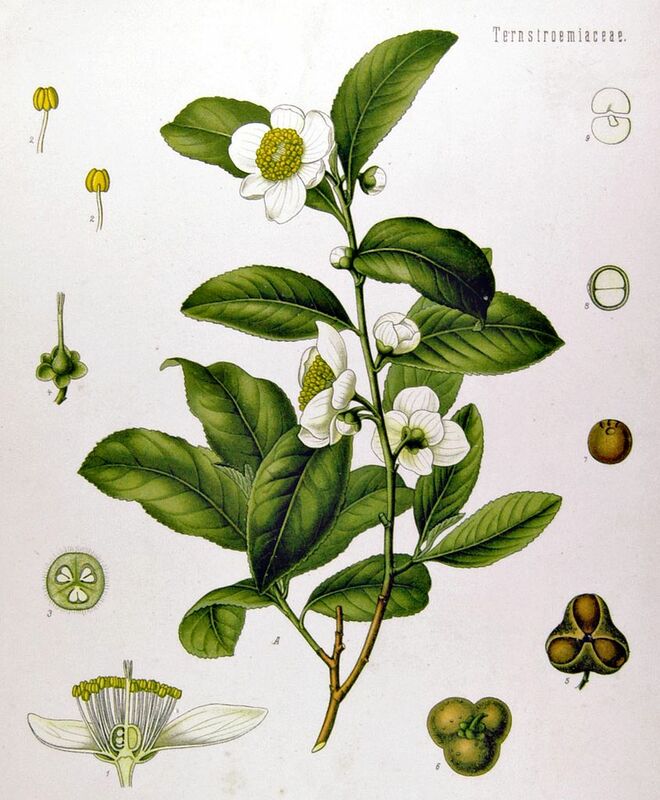 Camellia, not everybody’s cup of tea? 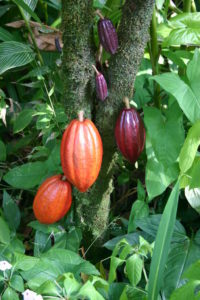 Cocoa pods. Photo: Medicaster / Wikimedia. From Cherfas’ musing that finding the tea stashed away in an emperor’s tomb (the originating news story for this item, remember..?) – and also surely one of the grandest of tea caddies! – was probably indicative that the commodity was so highly prized that only emperors could enjoy it, I could have extended this to rice with mention of the origin and spread of black rice, so-called ’emperor’s rice’. But that was touched upon in a December Cuttings item, so I won’t. However, one of the best examples of a plant-derived foodstuff designated for beings whose status is higher than that of an emperor is chocolate. 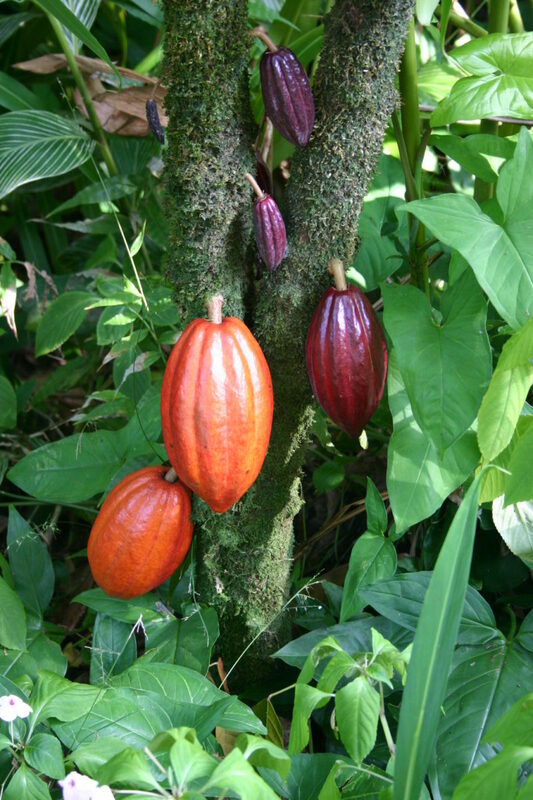 Derived from the cocoa plant, whose scientific name of Theobroma cacao translates as food of the gods, chocolate has been a highly-prized luxury item since before Europeans discovered its use amongst the Aztecs of present-day Mexico. Brought to Europe in the late 15th Century, it was one of the benefits of the so-called Columbian Exchange, “the exchange of diseases, ideas, food crops, and populations between the New World and the Old World following the voyage to the Americas by Christopher Columbus in 1492”. Indeed, there is a suggestion that it was Christopher Columbus himself who first brought cocoa beans to Europe. And, don’t forget that chocolate is not only a solid ‘food’, but also makes a satisfying beverage – somewhat like tea in that regard. And the tales told of life in the chocolate houses of Georgian England paint a fascinating picture of life amongst the so-called upper-classes and the social role of this plant-derived commodity. Tales that are every bit as fascinating as those which surround tea and that other ‘notorious’ plant beverage, coffee. 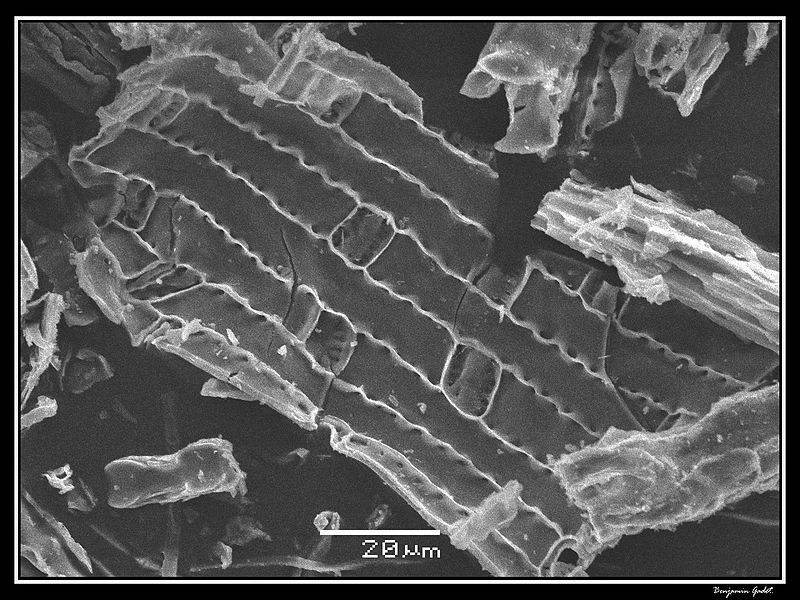 Phytoliths. Photo: Benjamin Gadet / Wikimedia. 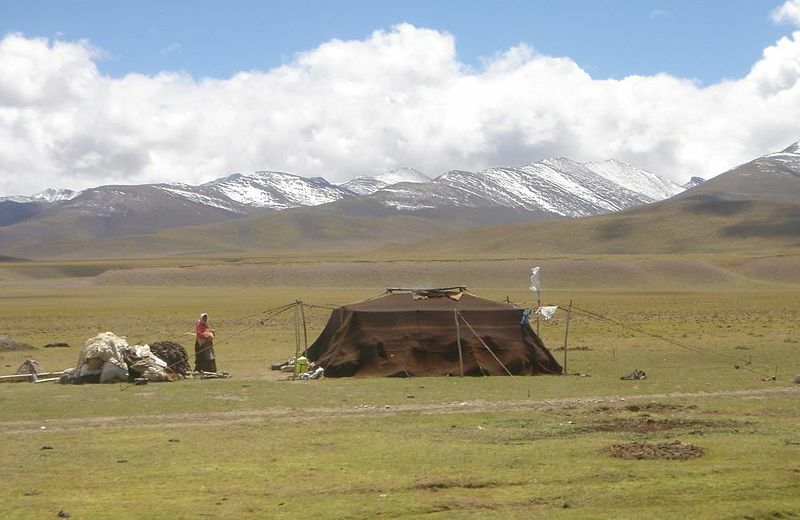 Nomads near Namtso. Photo Philipp Roelli / Wikimedia. Alternatively, I could have brought in a more direct human-food link with the agricultural detective work of Jade d’Alpoim Guedes et al. The starting point for their investigation was trying to understand the agricultural system that could develop in such a challenging environment as the high-altitude Tibetan plateau. Going against the grain of prevailing views they propose that the combined abilities of wheat (Triticum aestivum) and barley (Hordeum vulgare) both to tolerate frost and having low heat requirements encouraged their use by farmers in the second millennium BC in this region and successfully enabled their spread into the high-altitude margins of western China. These cereals successfully supplanted the former staple grain crop of the region, millets. 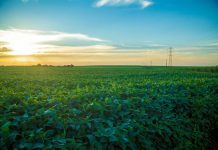 The fact that population-sustaining yields of anything can be achieved in such an environment is testament both to the hardiness of the human population that lives and farms there and to the physiological versatility of the cereals, the botanical backbone of civilization. Yes, I could have developed the starting point in any one of those ways, but what have I chosen to end on? An item that demonstrates the customary – and I trust appreciated – ‘one never quite knows where it will lead’, quirkiness that is the hallmark of a Plant Cutting. 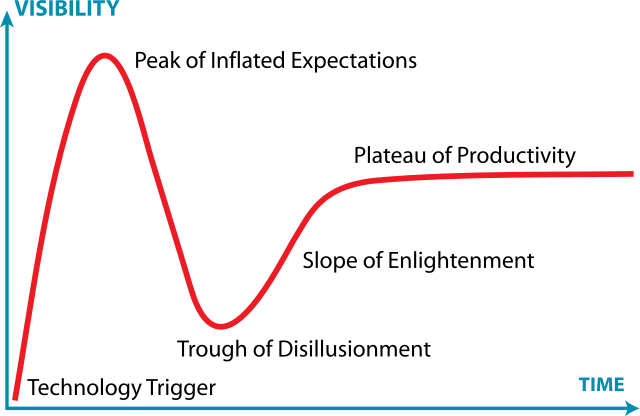 The word plateau – which is used a lot in the context of the topography of Tibet – brings to mind flatness, like that part of a graph where there is no further increase in the y axis values despite values on the x axis getting larger. And that – inevitably (!) – gets me to a comment by a certain Dr David Lawlor (formerly of Rothamsted Research) on an item on the Annals of Botany blog site. In that observation he reminds us all of the need for precision in science communication, especially regarding use of the poorly (or, frequently, never!) 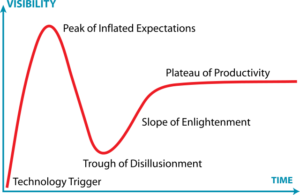 defined term ‘level’. I do hope this news item hasn’t strayed too far from the straight and narrow (though, since it is not a formulaic, strait-laced scientific journal article, hopefully a little bit of poetic licence is permitted..?). 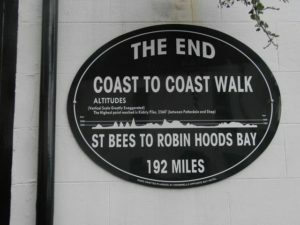 Journey’s End. 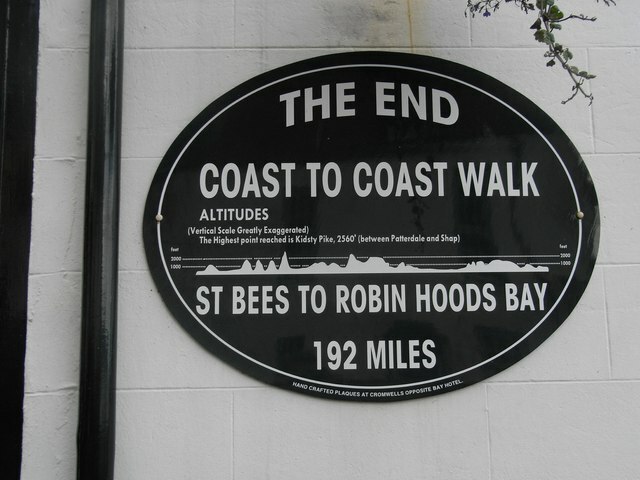 Plaque on the wall of Wainwright’s Bar, Robin Hood’s Bay, announcing the end of the Coast to Coast Walk. 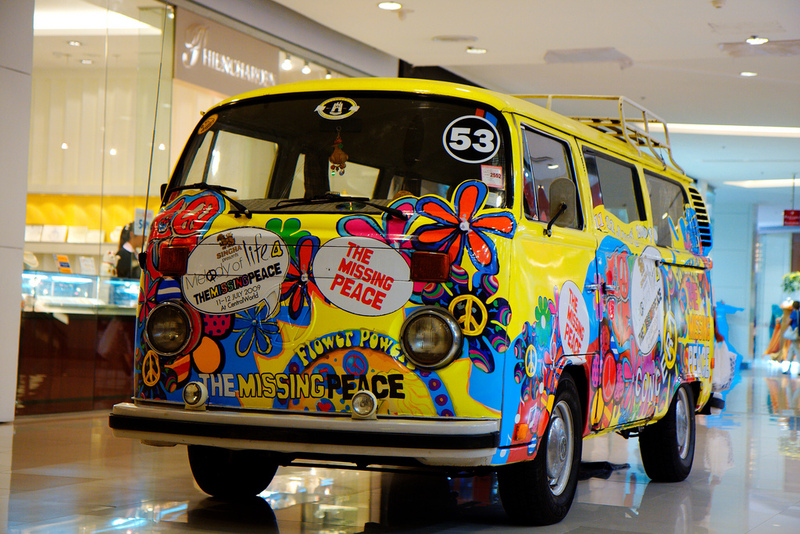 Photo Trevor King / Geograph. * Noting that the article deals with a Chinese emperor in Tibet, but also wishing to steer clear of politics, Mr Cuttings will not develop this story along the lines of the relationships between the Tibetans and the Chinese, who now claim ownership of that Himalayan kingdom. And, besides, even Mr Cuttings would be hard-pushed to find a direct plant angle in that saga! 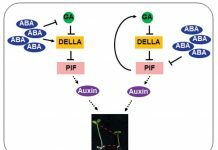 ** It’s timely at this point to mention the Tansley Review that celebrates a half-century of Arabidopsis research – Nicholas Provart et al., and the accompanying video. *** Mr Cuttings is at pains to point out that the historical Silk Road referred to here should NOT be confused with the on-line black market site for dealing in drugs(!). However, it is not inconceivable that ‘drugs’ – whether illegal or otherwise – may well have moved along the Silk Road proper. **** If you wonder how a fungal entry is justified here, Mr Cuttings is shamelessly playing the ‘Melbourne Code’ card. That international code of nomenclature specifies the rules for the naming of plants, algae, and … fungi.